Aw, I like it when co-stars of dark shows get to reunite in something light. 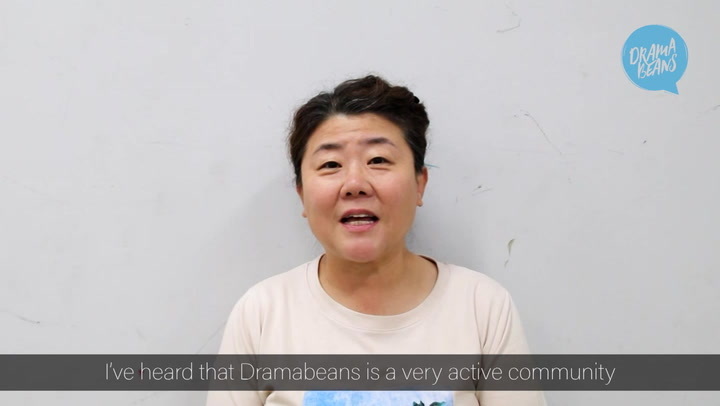 We’ve got another potential dramaland reunion in the works (Why not? Everyone else is doing it!) with Han Ji-min (The King’s Wrath, Rooftop Prince) and Uhm Tae-woong (Could We Love) both considering tvN’s fall Monday-Tuesday drama Valid Love. It’s been nine years since they were co-stars in the revenge thriller Resurrection, and their pairing in a lighter romantic drama would be something to look forward to. The co-stars were actually cast in the 2006 drama Wolf following Resurrection, but that show died an early death after just three episodes when Eric Mun and Han Ji-min got into a car stunt accident on set. If they sign on, this time they’ll be playing a married couple that encounters some rough waters when the heroine has an extramarital affair. They first meet at a girls’ high school, where Han Ji-min is a student and Uhm Tae-woong is her biology teacher (Scandalous!) and they end up married. And later, she meets another man and has an affair. The drama purports to be a cheerful story about the husband and wife figuring out that they were fated to be. It comes from writer Kim Do-woo of My Name Is Kim Sam-soon and PD Han Ji-seung of Alone in Love, so I can see how they might actually be able to turn the premise into a thoughtful character study with humor and pathos. Let’s just hope they can turn that potential into a reality. Valid Love is headed to tvN in October, following My Secret Hotel. Except for that nebulus ending, Resurrection was a good drama! Yes, I would watch them together again! It aired nine years ago. Surely the statute of limitations on spoilers has expired? She didn't mention any specifics, just acknowledged how she felt about the ending. That, in itself, is not a spoiler. More important, that premise is shiver inducing in so many ways... Good luck to the viewers of this show. I loved resurrection, but I'm not fully sold by their relationship in that drama..
Uhm Tae-woong is a terrific actor but has appeared in some really awful dramas like the Sword and the Flower (did I get the title right?). Those who doubt his abilities should see Introduction to Architecture. How do they get a comedy out of an affair? Ha-ha, the joke was on you buddy? Funny how? I mean, funny like I'm a clown? I amuse you? I make you laugh? I had no idea these two have worked together in the past. But I think they will make a beautiful couple. Also I wonder who will be the third wheel in this relationship. For some reason I am thinking of Ji Chang Wook. Or may be I am thinking about him only because he is super pretty to look at ? UTW and HJM indeed love being couples in inappropriate situations. In Resurrection, he was her adopted brother. They were cute to watch though. I love them both, but ugh... another affair plot, Dramaland? :/ Cheating spouses getting back together makes me feel squicky (blame Oh La La Spouses for making me never want a broken up married couple to reunite ever again), and yet it's a theme that's been done to death in kdramas this year. Uhm-Force!!! I have missed you. Even though CWL ended not too long ago but heck....i'm not one to complain about more Uhm-goodness. Such a sizzling charmer. I'm not really keen on the plot but if i could sit through the wreck that was Sword and Flower, i'm sure i will survive this too. You are not alone. I'm waiting for Uhm Tae Woong's drama or movie to come out. Really love to see him again! I really want this couple to reunite. Really bad. So please show don't be filled with betrayal and makjang! TIA! I know! The premise is dicey for me, but with these actors and with that writer and PD pairing I'm already completely sure that I'll be checking it out. It's Something New in Dramaland, i like the plot, i hope a really good drama, TvN it's the best in dramas right now. A high school teacher marrying his student? ICK. Cheating? MORE ICK. How in the world will this be 'a cheerful story'? I like both of these actors but the drama premise is all-around icky so I don't think I'll be watching this. The plot has ickiness written all over it. Skip. Wow that plot! How do they even make it into something "cheerful"? I'm curious now. Tvn is really bringing its a-game this year! Well a reunion for the two. That's okay I am curious about the outcome of this Drama. How about HJM's reunion for So Ji Sup or Lee Seo Jin, that would be interesting also. like Temptation but no money involve.